I think I use the word Sweet a lot in my layouts, but then again my daughter is so sweet I can’t help myself!! So here is another layout titled sweet about my daughter who just turned 6 last weekend. Last month I finished my term with a few design teams and therefore I had free time this month to participate in a few challenges. This is something I haven’t done in a while and its so much fun!! I made this layout for 2 challenges. The first challenge is a sketch from the Pion Designs Blog and I used their beautiful “For Mother” papers. 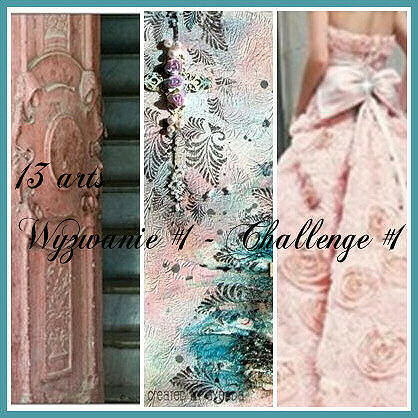 The second challenge is an inspirational challenge from 13 Arts. Aida, the owner of 13 Arts, designed these beautiful papers in pink and blue hues. The challenge of course is to use these 2 colors on a page inspired by the picture below. The papers are called “Frosted Life” and they are gorgeous. I can’t wait to get my hands on some of them!! and thank you so much for always visiting my blog and leaving me such wonderful comments. I love each and every one and the make my day!! This is so soft and pretty. 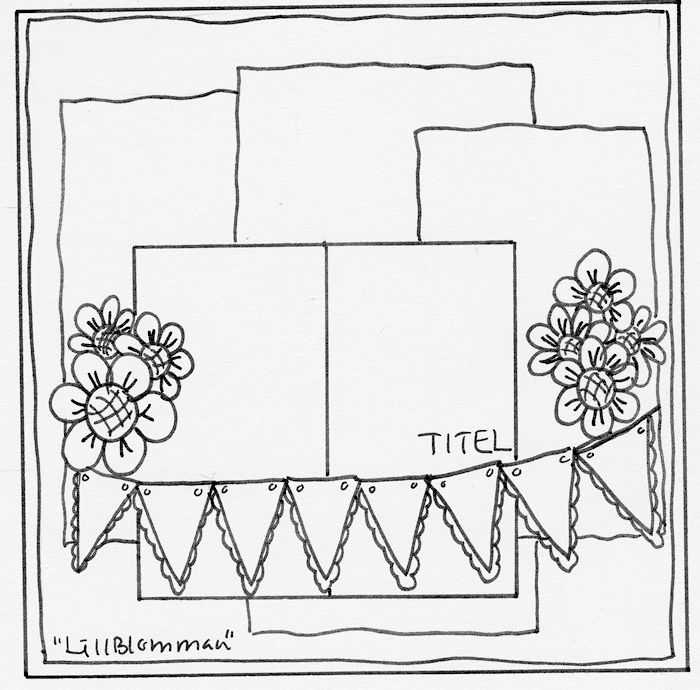 I love all the flowers and your texturing throughout the layout. Gosh, every time you post a new layout I say "that's my new favourite" lol. But then, I love all your work! Sweet photo and lovely creation, I love it Keren! Thank you so much for playing with 13 arts! I think sweet is the most perfect title for this gorgeous lay-out:) I love the soft feel to it! Oh, I love that background! How pretty! And your soft colors, this is stunning! Beautiful work as always!!! This is such a gorgeous layout!! I love the soft colors and all the flowers. You truly have a wonderful artistic gift! Oh wow! This is sooooooo pretty! Love the soft colours and textures! Gorgeous! Verry sweet love the soft look of your page. Sweet and so pretty, and really beautiful too..
keren lovely layout. I like the technique of the edge punch on the actual photo. great cluster of embellishments. Stunning Keren, so glad you found some time to create just for 'you'!! Your layout really is beautiful… and so is your precious daughter. Wow! This is absolutely gorgeous! The texture, the colors, the mix….all stunning!!! You are amazing!!!! WOWWWWWWWWW! This is GORGEOUS!! I loveeeeeeeeeee that photo, the banner and love love love love all the flowers!!!!! WOW!!!!! Wow Keren this is just so beautiful! Great job!! Love it!!! Absolutely beautiful, Keren…love the soft pretty colours & all your gorgoeus layers! this is just gorgeous sweetie ..wow! Very pretty texture! I think you create something beautiful everyday Keren! Lindo projeto!!! Cores suaves que transmitem muito amor e paz!! If I have to compile a TOP 10 layouts of your gorgeous work, this would be featured right up there!!! STUNNING LO, Keren. I Loved your page… very beautiful! What a gorgeous layout! I love all the details and subtle colours.